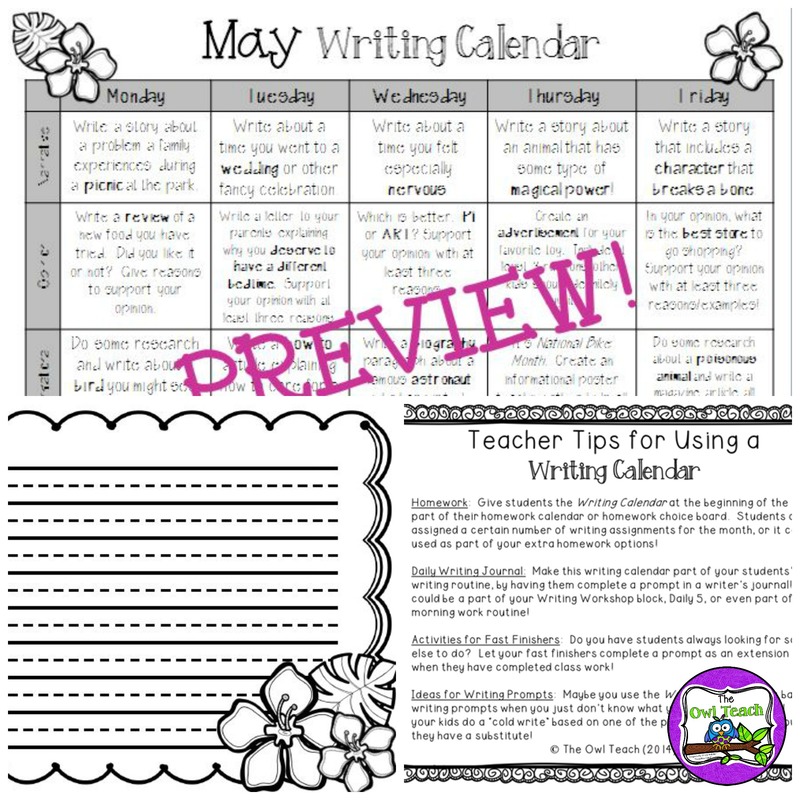 This past school year, I started using Monthly Writing Calendars with my second grade students! 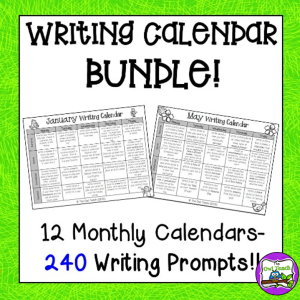 They were perfect for writing homework or fast finishers, and the calendars were a hit with my co-workers, parents, and students alike! 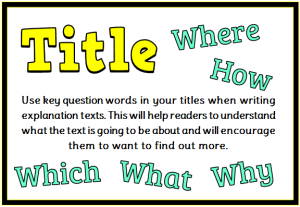 Each monthly packet includes 20 different writing prompts (fiction, informational, seasonal, and even some opinion topics), tips for teacher use, seasonal writing paper, and an editing checklist for student use! I’ve bundled all 12 calendars for a savings of $8.00! These are fun, easy to use, and almost NO-prep for teachers! 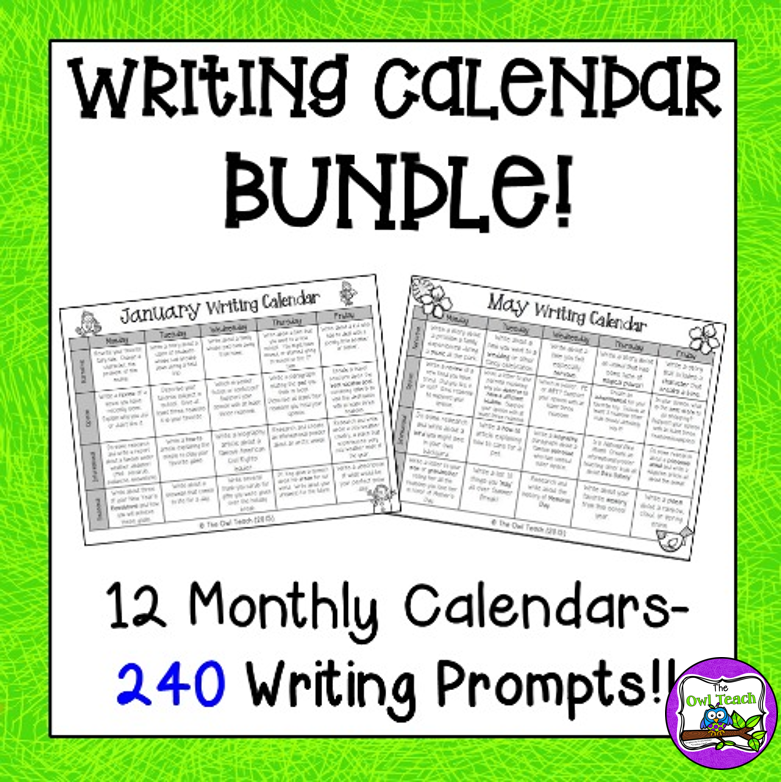 Click HERE to Purchase the Writing Calendar BUNDLE! 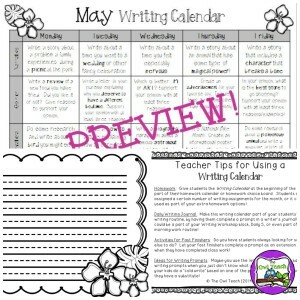 Click HERE to buy Individual Writing Calendars! I’ve found that a little humor, warmth, caring, understanding, and empathy for everyone in the class goes a long way. If they see you treating everyone with respect and kindness, it will rub off on them. They need to know that you’re human too and when they realize that you care about them, they are yours for the rest of the year. This will alleviate many of your discipline problems.At the beginning of the year, it is important to be firm, not too friendly, and no smiles. Keeping a straight face was always difficult for me. But, I kid you not, this works, especially later in the year when a child or the class becomes hard to handle, you can say, “Remember how I was at the beginning of the year, do you want me to be like that again?” They usually say NO!!!! Listen when someone is speaking. Finish class work and homework. When you enter the room take your seat. Respect all adults and classmates (this includes other teachers, staff, principal, etc.). Respect personal property and property of others. 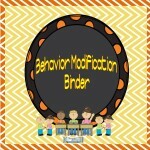 Walks quietly in line when going to and from the cafeteria, other classes and activities. Don’t pay attention to inappropriate behavior of others. 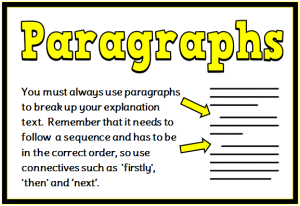 A display of 9 A4 posters showing how to write an explanation text. 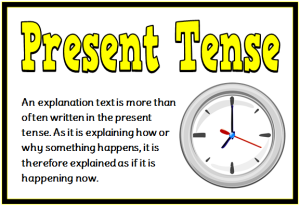 This set comprises of a title poster, using a title, structure, present tense, diagrams and pictures, connectives, examples, using paragraphs and interesting facts. 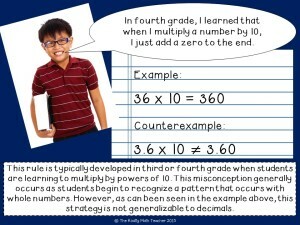 Please share your thoughts on my blog at The Routty Math Teacher Blog or The Routty Math Teacher Facebook Page. Welcome to my new blog series– Confessions of a Middle Grades Math Student! While we all look forward to summer as a time for some much needed rest and relaxation, we also spend considerable time preparing for the new school year. With that in mind, I will be providing purposeful professional development to support your summer learning as we prepare for the new school year. Over the course of the summer, I will be providing insight into the rules, tips, and strategies that students bring into the middle grades mathematics classroom from earlier grades that do not support the development of more advanced skills. I will introduce a new topic each week, drawing the majority of the topics from the National Council of Teachers of Mathematics (NCTM) article titled, “13 Rules that Expire” by Karen S. Karp, Sarah B. Bush, and Barbara J. Dougherty (2014). You can download a copy of the article here. In this article, the authors describe rules that “expire” and are no longer valid at a certain point in a student’s mathematics career. Through this blog series, I will explore these rules and offer suggestions on ways to better support our students’ growth and understanding of the mathematical content and skills underlying them. 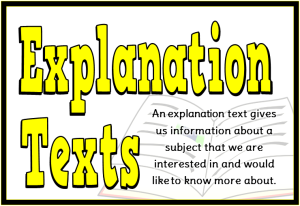 The information will be presented from the student’s perspective so that we might gain some insight on how our students internalize what we say. It is my hope to generate some discussion and get feedback on these ideas. 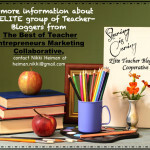 Please feel free to comment on my blog The Routty Math Teacher Blog or on The Routty Math Teacher Facebook Page.